Mazda owners (and leasers. Renters too, probably) know that the automaker's vehicles are high in quality, performance, and gas mileage, but generally low in cost. 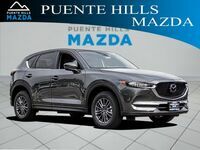 The Mazda CX-5 is a stylish crossover SUV that offers so much inside and out. Why do people love crossovers? For starters, they hold a ton of cargo space but still feel like a car. 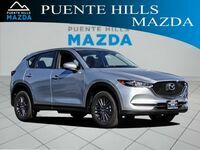 Style, performance, space, and technology are all what the Mazda CX-5 is about. This sweet ride holds up to 60 cubic feet of cargo volume inside. 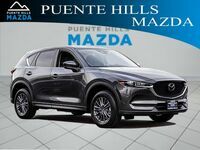 The 2017 Mazda CX-5 is in the greater Los Angeles area here at Puente Hills Mazda. The Mazda brand has been propped up by the pillars of performance, efficiency, and pricing. All of Mazda's models offer those great features, but what makes the Mazda CX-5 stand out? Keep reading to get more details on this great machine. 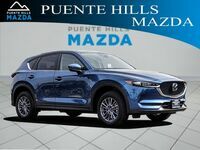 Visit Mazda's site or contact us for more information on these features. The Mazda CX-5 comes available in four different trim levels so the needs of all kinds of drivers are met. See our list below for basic information about each trim. Those interested should stop in at Puente Hills Mazda. 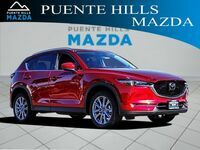 All of this descriptive writing doesn't really do the Mazda CX-5 justice. Come in and see it for yourself. Want to feel how it handles? Schedule a test drive! We will be waiting and ready for you. We hope you come in soon!